Welcome to Progress with Lawless French! In collaboration with Kwiziq, I'm delighted to offer my virtual students the opportunity to test and improve your French with a personalized study program. The first step is to determine your French level, as defined by the Common European Standard, by means of a detailed proficiency test. 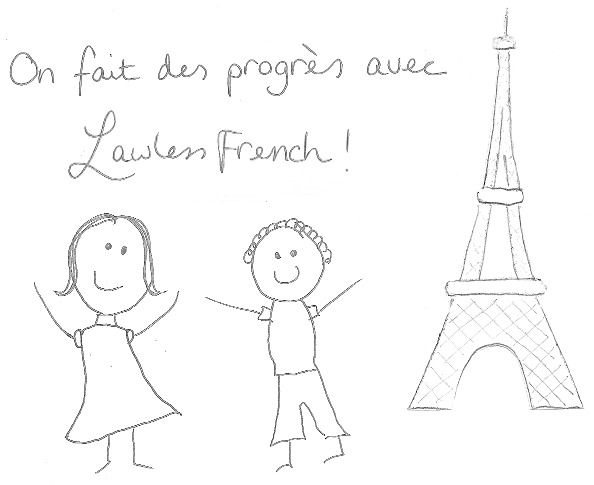 Once you've established your baseline and created a free account, Progress with Lawless French will suggest mini-lessons appropriate to your level so that you know exactly what to work on next. It's like having an online, ever-present tutor.